It’s no secret that care coordination leads to safer and more effective healthcare, improved awareness of patient needs, and greater efficiency within the clinic. Continue reading to gain some insight as into care coordination and learn how it plays out at HealthFinders Collaborative. What: Care coordination involves connecting patients to various resources such as diabetic exams, eye exams, dental services, wellness programs, and medical imaging. These services act as a safety net to prevent patients from falling through the cracks of the healthcare system and ensuring that the care provided is efficient and of high quality. 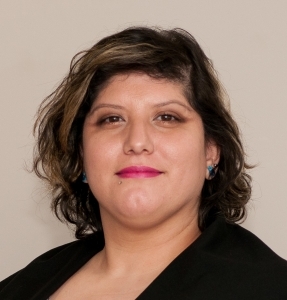 Who: Maritza Navarro is the care coordinator at HealthFinders. In addition to connecting patients with resources, another part of her job involves navigating the difficulties of care provision for patients in complicated financial situations, with transportation barriers, or communication hindrances. Her passion for helping others and her dedication to the job provides HealthFinders patients with well-designed coordinated care. When she can, Maritza finds approaches to tweak the way work is done in order to make the process more efficient. more of their time to other responsibilities. For example, part of Maritza’s responsibilities includes considering the unique socioeconomic position of each patient and matching them up with resources that they are eligible to receive. This involves understanding their economic and health insurance status, and identifying potential language/cultural barriers. Where: Though we provide primary care in our own clinics, we have wonderful partnerships in many other areas. These partnerships allow us to send our patients to other places to receive healthcare services. For example, through the Lions Club and LensCrafters, patients can obtain eyeglasses. Medications can be picked up for free or at a reduced rate through Sterling. Additionally, Emmaus Church and the Faribault Middle School support us by providing a space to hold our fitness classes. These partnerships (and many more!) give our patients valuable, additional resources. While the complexities of care coordination may not be immediately apparent to the average person, they are one of the challenges that a non-profit center such as HealthFinders encounters in order to ensure that patients receive the best care possible. Thanks to our care coordinator, effective systems are now in place to connect patients to those resources.